I love Chiles Rellenos. I've made them from scratch several times, but they truly are a labor of love. Although the tedious work is worth the result, I don't always have the time to whip them up. 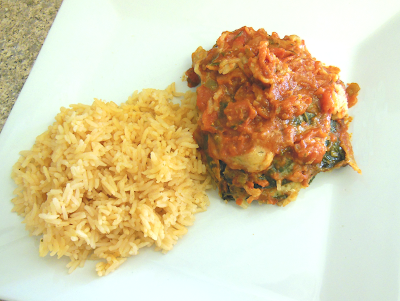 I've made a quicker version of a Chile Relleno (casserole syle), but sometimes I'm plain lazy. I've tried looking for Chiles Rellenos in restaurants, but I have yet to find one even remotely close to authentic, here in Louisville. When I found these in Trader Joe's, I was cautiously optimistic. 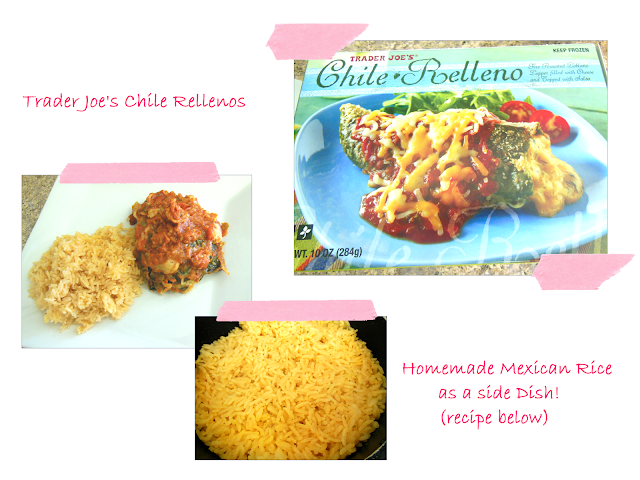 I tend to use their frozen products with other homemade food, turning it into a semi-homemade type dish. Their frozen foods *truly* are the next best thing to homemade cooking. I can't even tell I'm eating frozen foods, and the convenience gives it major points. 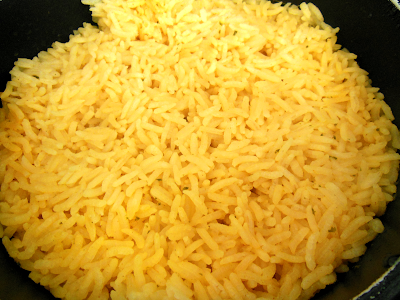 I made Mexican rice in my Aroma Rice cooker (I can never make rice stove top, fail!). It's so simple, and cooks rather quickly. The taste is good. 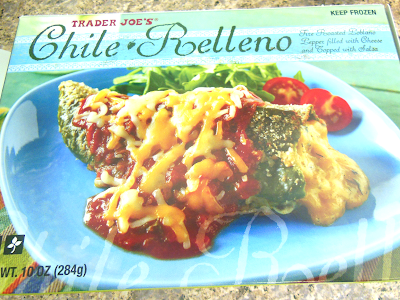 Now, its not an authentic Chile Relleno per say, as the sauce tastes different home made. This kind of reminded me of a tex mex dish you'd get in a restaurant. Not truly authentic, but as close as you can get at an Americanized Mexican food if that makes any sense. I'll be having these on hand as a quick meal to whip up if I don't feel like cooking. 1/4 small Vidalia onion sliced. 1 tsp beef or chicken stock. Aw, man. They're great for a rainy day though. I pray I get a TJ's soon. I'd stock up on those! I hope you do too, I love Trader Joe's!